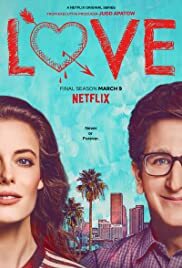 How many episodes of Love have you seen? Q: What's different about the structure of Love? I like this show because it's not quite a sitcom and it's not quite a drama. It feels very real, like something you've probably experienced in your life before. There are so many little moments that strike a chord with me... The awkward silence after cracking a terrible joke. The exalting victory of the person you like finally texting you back. The struggle of navigating parties where you don't know anyone. Some people might not like this show because of that rawness, but I for one find it endearing. I love seeing Mickey and Gus' story play out in such an unconventional way. You really do feel sympathy for the characters' successes and failures. Give it a try, because you might find a little bit of yourself in this show. 92 of 120 people found this review helpful. Was this review helpful to you?